Through the years, we heard concerns from Members regarding those who were unable to pay their utility bill due to emergency situations. In response to these conversations, TAP, the Talquin Assistance Program was launched. Members may donate to this program by choosing to have their account(s) rounded up to the nearest dollar on their monthly utility bill (that is only $11.88 a year!) or by designating a specific amount to be included monthly for TAP. The funds contributed will be used to assist Talquin Members who cannot pay their utility bill due to job loss, illness, or other crisis circumstances. To date, TAP has collected over $89,000.00 since 2009 with only pennies per month collected to help families in need. All screening to receive TAP funds will be handled by Capital Area Community Action Agency. To apply for assistance from TAP on your monthly utility bill, Members should contact Capital Area Community Action Agency at (850) 222-2043 to schedule an appointment. 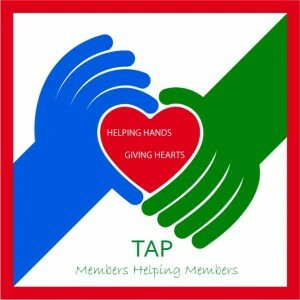 TAP is a completely voluntary service.